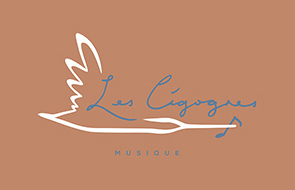 Les Cigognes Musique is a brand that provides stylish protective bags for different music instruments. 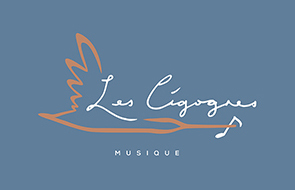 Their founders, also musicians, struggle to find a good looking and tough bag to carry their music instruments. 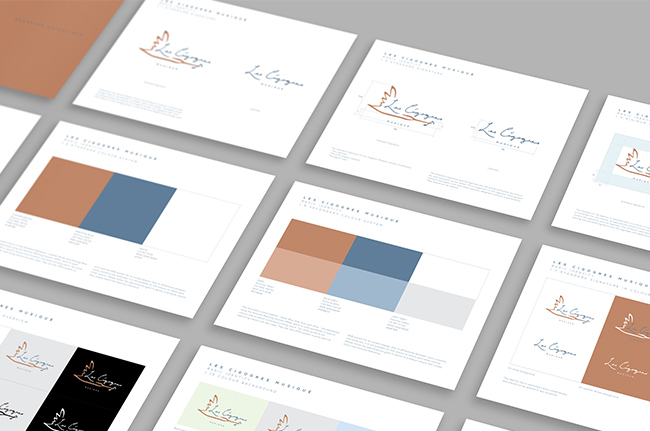 And that's how they started off this brand. Inspired by the famous folklore, storks found babies in caves or marshes and brought them to households in a basket held in their beaks. The babies would be dropped down the chimney of a hopeful mother. 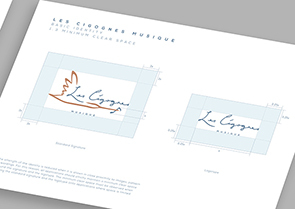 Les Cigognes hold music instruments in care, bringing music to the world in an elegant and prestige style. 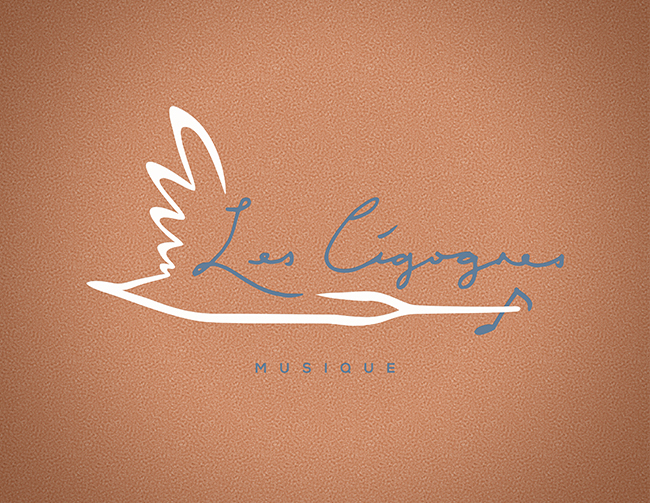 The logo is designed in a brushstroke style with a few simple lines of a flying stork, carrying a eighth note. 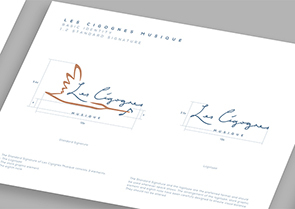 The letter "L" is positioned as part of the stork and the brand name came out in a cursive handwriting style. 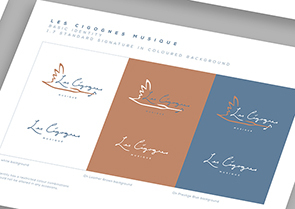 For the colour scheme, we chose a leather brown and a blue grey to project the prestige and elegant feeling.